I thought I would share my ten most viewed posts of 2012. It was fun looking back and seeing how many times they were visited. I was a little blown away actually. I'm starting with the most viewed and working my way down. On July 7 I added my home tour on my side bar and that has been visited a shocking 24,369 times so folks add a home tour on your blog. Powder Room reveal on 1/23. Refreshed Sun Room on 6/19. Buh Bye Cherry on 7/20. Guest Room Reveal on 7/23. A Kitchen Corner on 4/9. Just click on the links if you want to see more. Great posts Kim, I can see why they were in the top ten! Adding a home tour is on my to do list! something you might enjoy. I work with my own photography and vintage scans. I also work in jewelry design, home decor and of course.... gardening. I remember every one of them Kim....they are all wonderful posts. Love your house. I soooooooooooo need you to come help me with mine. I need your talents, lady! So enjoyed the post revisit Kim. What a fun recap, Kim! Thanks for sharing, there were a few that I'd missed somehow! Kim - your home is amazing! From the vintage inspired guest room to that bright and cheery sunroom, I love it all! Here's to a very creative 2013! Your home is lovely so it's no surprise to me that the home tour is so often visited! Happy 2013! Kim, you deserve EVERY SINGLE page view you get! You just amaze me. I started a house tour for the sidebar right after I moved to Typepad, somehow I didn't finish it and ended up taking what I had off the sidebar. Maybe I can get one put together over winter. I enjoyed all your rooms, Kim! Kim.... Just went through your posts again! I can see why they were viewed so much....I just might do them one more time. Every time I do I pick up another precious detail. I've been following your blog for quite a while on practically a daily basis. Your creativity is amazing and your ability to tackle all projects (big or small) is astounding. Thanks for sharing --- I have picked up so many ideas!! Gorgeous posts Kim! Your home is beautiful, as is your photography! Some great posts Kim, so many inspiring projects! I was not surprised by your "shocking" home tour numbers....I too am amazed at how much interest my home tour has gotten on my blog sidebar...I am coming in right behind you at 23,940 views~totally amazing!! You have been so busy this year. I can't believe how many makeovers you have done. You have a beautiful home so I can see why your house tour is so popular. By the way, happy New Year to you and your husband. They are all winners!....every one of them! You had a great year! 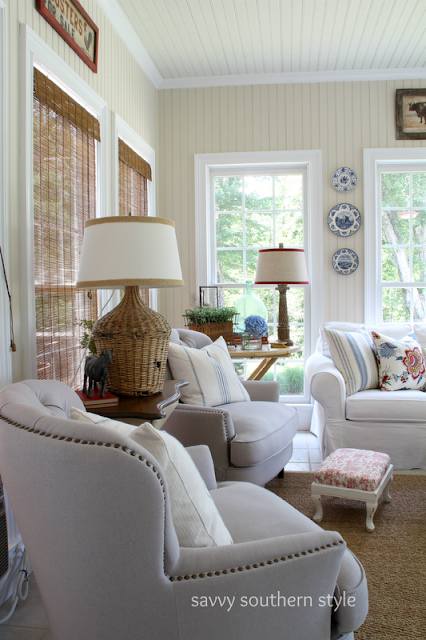 Your sunroom is one of my favorite rooms in all of blogland! So glad you shared these as I had missed some of them. All great posts Kim, I can see why they were so popular. Can't wait to see more in 2013! Your posts are always beautiful. I love all of your beautiful rooms, Kim, but your sunroom is my definite favorite. I'm one of those 24,369 visitors! You home is lovely and full of inspiration. Thanks for sharing! Loved all those posts....and how incredible that you received almost 25,000 views on your Home Tour!...Congrats!! 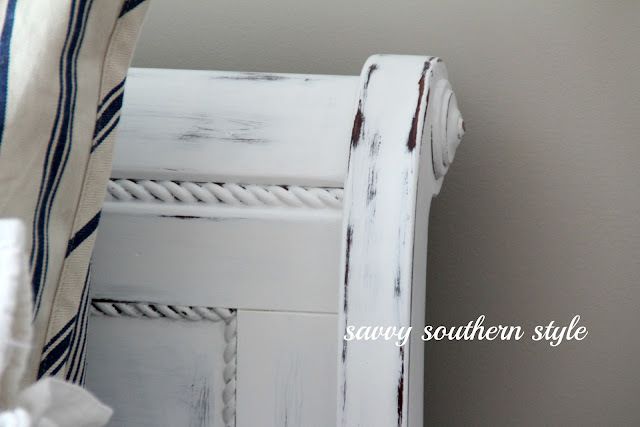 !...Here's to another great year of Savvy Southern!!! My favorite - your guest room. And I love the stool in your bathroom. I love the herb box on the stool. I passed on a set of 3 of those herb boxes at TJ Maxx. I went back the next day and of course they were gone. I saw them on 2 different blogs tonight. I am so mad at myself. Great projects every time from you! Everyone likes to get a peek inside, and your home is elegant, classic... so you! We just can't help ourselves taking a look. So many reasons to click and click some more.